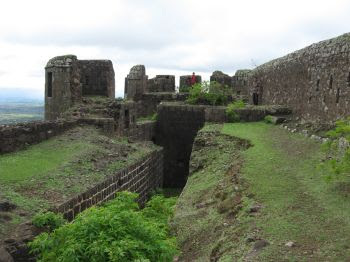 Sardar Panse built the last fort of the Maratha empire- Malhargad near Sasvad in the Bhuleshwar range, to watch over Dive Ghat around 1760-65. Panse was the chief in charge of Tofkhana of the Peshwas and there are ruins of Sardar Panse's palace in the base village Sonori. 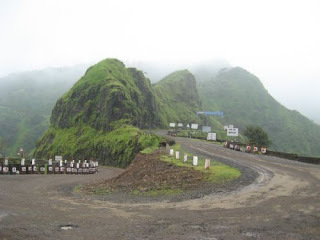 To reach this place from Pune: Reach Saswad and Saswad Bus stand, pass Nagar Parishad take a left turn towards village Sonori. The road doesnt have any naming indications. Sonori is about 6 kms or more from here and the road till the fort is in very bad shape. 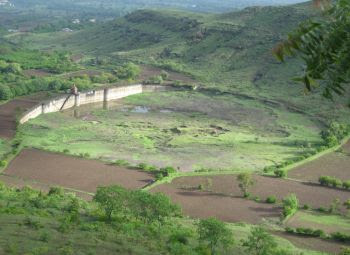 On the way enjoy view of pune city and Mastani lake from the last turn in Dive Ghat. We started at 7 AM. After a quick Vada-Pav in saswad we proceeded to Sonori. We took 0.5 hours to travel 6KMs full of potholes and mud. Hats off to ST bus driver who daily takes the bus on the ruins of ;once existed Tar Road;. Scaling the fort isn't a tough and takes hardly half an hour to 40 odd minutes from the right ridge of the fort. A big misguiding trail lead you right under HT wires to backside of fort. The continous humming noise and the eerie winds made the situation slightly scary. The trail suddenly ended and we were in middle of nowhere. But it looked we could climb easily from back too. So we tried to climb slightly steep rocky patch and ended up entering through sort of Chor-Darwaja. There is nothing much to see on this fort. The fort is named after Lord Malhari i.e. Khandoba. 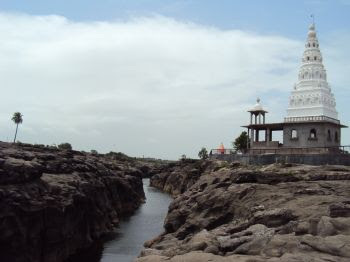 The two temples stand guarding Balle-Killa in good condition- temple of Khandoba and temple of Lord Shiva. Fortification is still in good condition. There are two dry wells and a large water tank that might have served as source of water in past. 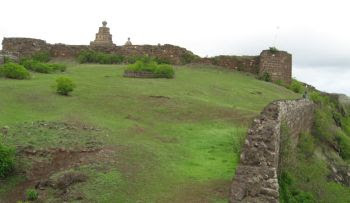 Few showers of rains had ensured ensured the fort was not completely barren as we had imagined. Eagles flying high above and butterflies basking in the warm sunlight keep you busy all the way. It started drizzling on the way back and unfortunately we missed palace of Panse on the return trip. But all was not lost as we visited awesome Jadhavagad while returning back.